Purchase this Spyderco Knives PITS, folding pocket knife, C192TIBL. 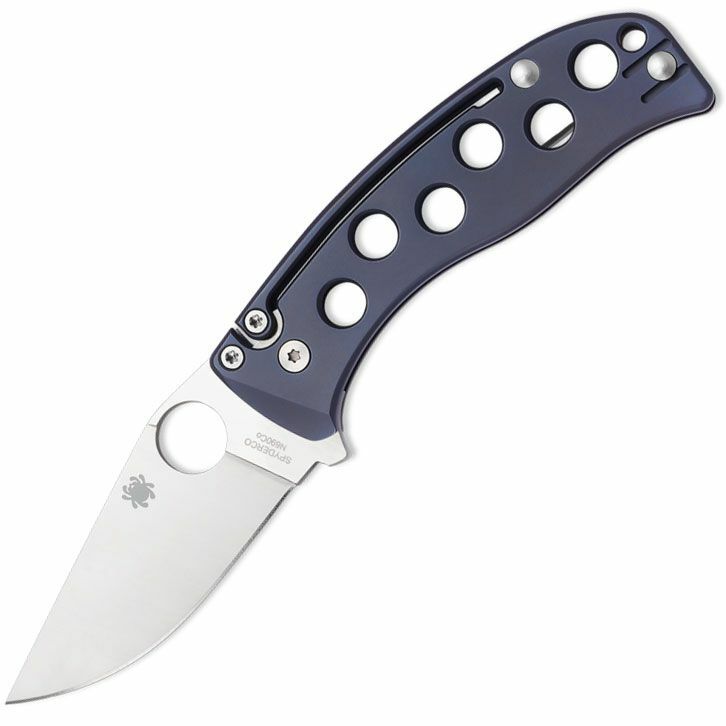 Made in Italy, measures 106 mm closed (4.19 inches), 75 mm (2.97 inches) long, 3.1 mm thick, full flat grind, N690CO steel, clip point blade, integral finger guard, thumb opening hole. 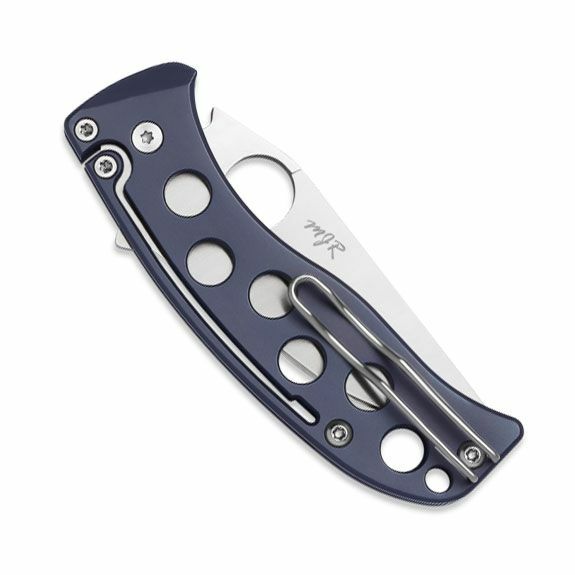 Skeletonised, matte finish, bead blasted, colour anodised, machined titanium handle. Integral spring arm slipjoint mechanism. Reversible, wire, deep pocket clip.